It’s the end of yet another week, and that means that it is, as always, time for our engaging and excellent round-up. As we do from time to time, we want to remind you that our email inboxes are ever open to your suggestions about this recurring installment. This week’s Microsoft question is this: Do you think that the iPad form factor would be a good fit for Windows 8, or do you prefer the wider design of the Samsung tablet given out at the BUILD event? Now, be sure that you are following us on Twitter, and Facebook, and let’s get into the news. Microsoft joined a growing probe of Google by the Federal Trade Commission, alleging that the search giant acted anticompetitvley against its market rivals. Specifically, Microsoft claims that Google dramatically raised the price on advertisements that the firm placed against search queries for its own products. A price jump of 50 fold was reportedly endured, in one case. The probe that Microsoft is now a part of started earlier this year, and contains several participants. Google itself was forced to testify recently in front of Congress on the matter. As Microsoft’s claims are tested and weighed, we will bring you the results. You already knew that live TV was coming to the Xbox 360, but news broke this week that tipped both Verizon and Comcast as potential providers. That would give the service a simply massive boost. According to sources, both deals could be sealed inside of the next 30 days. This is unlikely to harm, even slightly, Microsoft’s high-functioning relationship with Netflix. As the Xbox becomes more a media device and less of a gaming-centered console, it’s crucial to always remember that an Xbox 360 is little more than a computer with an Ethernet port. Certainly, it was born for games, but ever since its birth Microsoft has been working tirelessly to make it into something much more. As the Xbox is the very center of Microsoft’s living room strategy, it’s success could not be more important; it directly combats the company’s largest competitor’s offerings such as the TV products from Apple and Google. At that, at least for now, Microsoft appears to be winning decisively. Xbox 360 sales remain strong. But there is only so much that the company can do with hardware that becomes more dated by the day. Eventually Microsoft will have to move to a new unit, and then the question of backwards compatibility, especially with new, higher-power offerings such as live TV, will become a serious challenge. We couldn’t do a roundup without Windows 8, now could we? There are three stories from TNW Microsoft that anyone curious about Windows 8 should read. The first is a look at the Windows 8 user interface, but tweaked by the mind of one very informed, and well thought individual. What he has in mind, and Microsoft should think on this, is that Windows 8 needs to be more touch-centric, and not less. A few days back we wrote a piece on the coming spate of Windows 8 tablet rumors, making the case that, frankly, most of them are not going to be news. Yes, OEMs are going to build Windows 8 tablets. We all know this. So to kvetch a bit whenever we hear a whiff of a whisper is a bit of an overreaction, at least in our view. 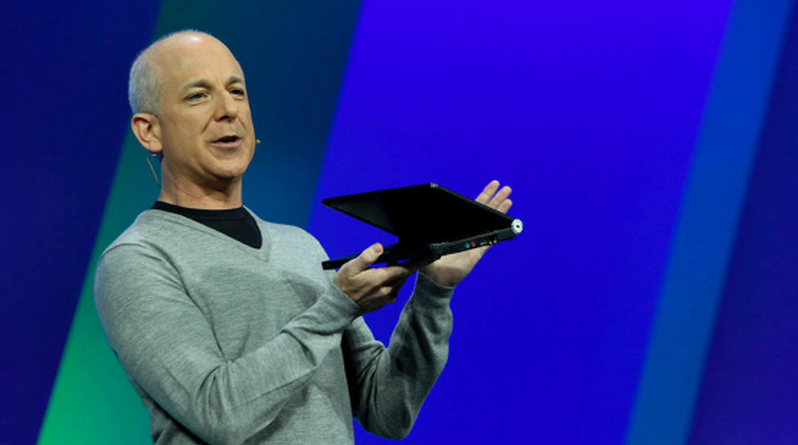 Finally, remember those Samsung tablets that Microsoft gave out at BUILD? They are landing on eBay now, and the prices are huge. Mango is now so ripe that it is nearly falling off of the vine. Just ask Microsoft. The company, this very week, made the claim that Mango would be shipping out, via carriers, in the next one or two weeks. In no more than a fortnight, the wait will (have started to) be over. Remember that Microsoft actually finished Mango ahead of schedule, so its rollout to users is on an aggressive timetable. This means that even barring catastrophe, everyone will have it going into the holiday season. Of course, handsets that are being sold now, and that will be sold from here on out until Tango and Apollo, are shipping with Mango pre-installed. And if you want to get a taste of what Mango is bringing with it, check out what IE9 Mobile is packing beneath the hood. That’s all for this week. More, como siempre, as it happens.